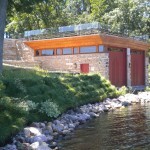 This Boathouse sits on a residential lot on Lake Wisconsin. 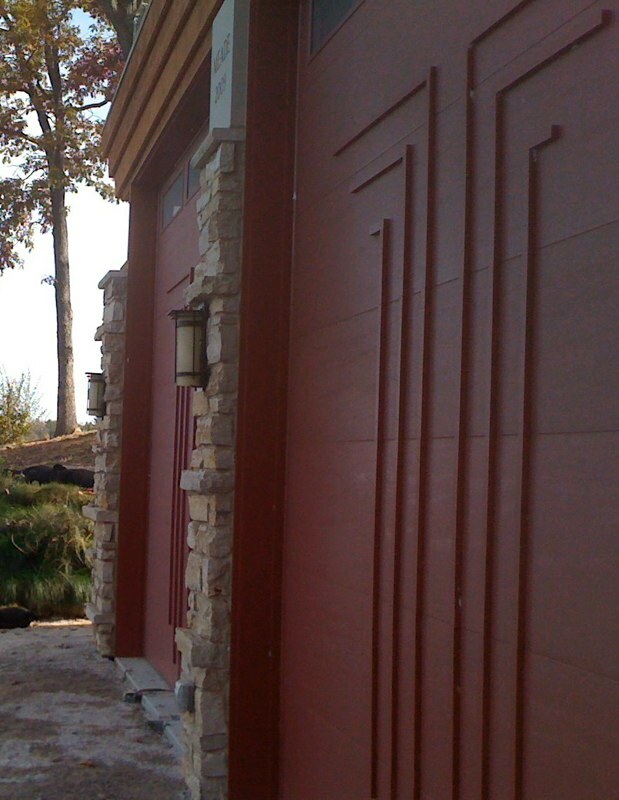 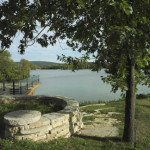 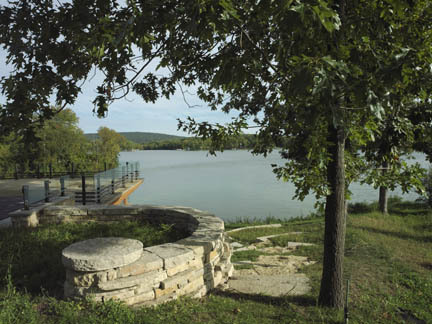 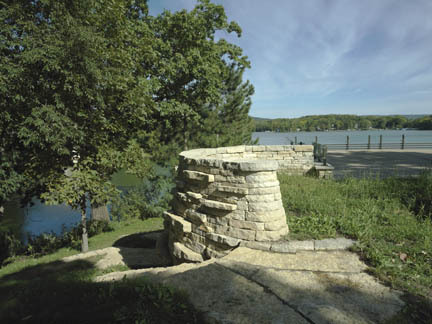 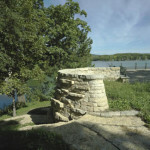 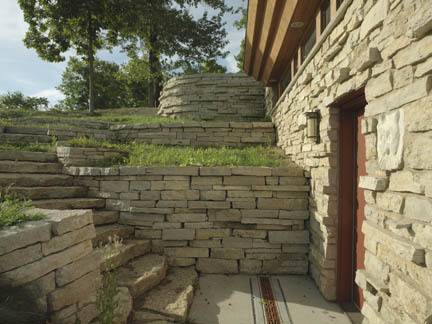 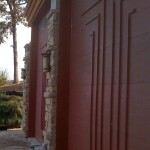 Custom railings minimize the visual impact of the structure to the lake and from the lake. 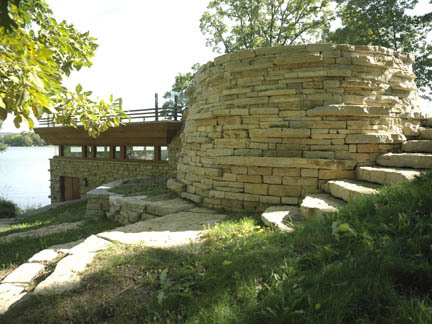 The flat roof ties right into the hillside and provides space for recreation, enlarging the most beautiful part of the site. 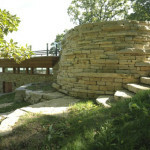 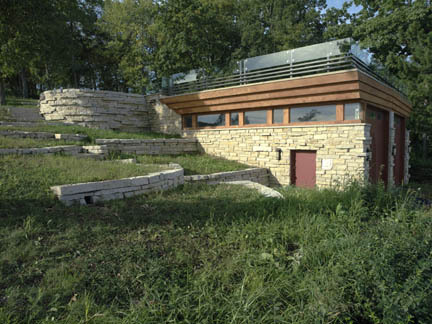 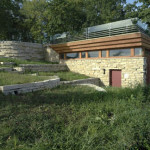 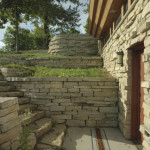 The building and site blend together into the hillside. 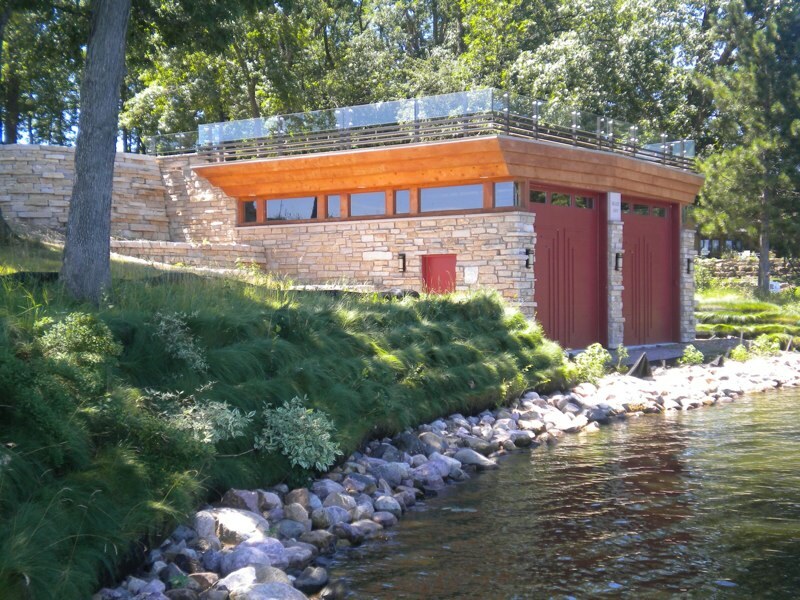 Dry-stack masonry walls root the boathouse, creating areas for entertainment while providing erosion control.